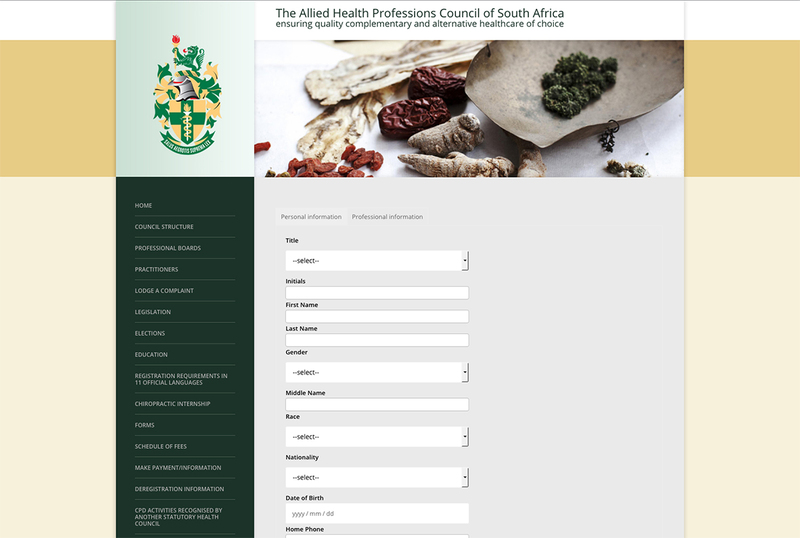 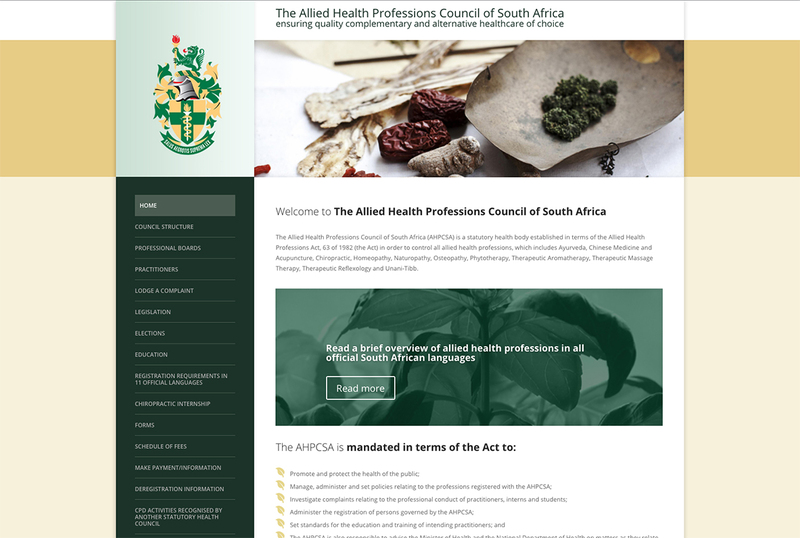 The Allied Health Professions Council of South Africa is a statutory health body established to control all allied health professions including Chiropractic, Acupuncture, Homeopathy and more. 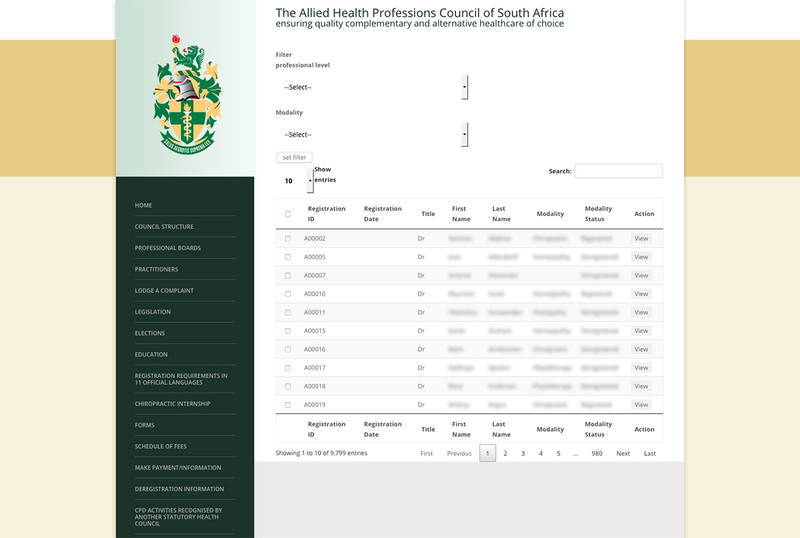 The registrar required a new system to manage the complete register of movement within these professions in addition to control CPD, documentation, correspondence and validity. 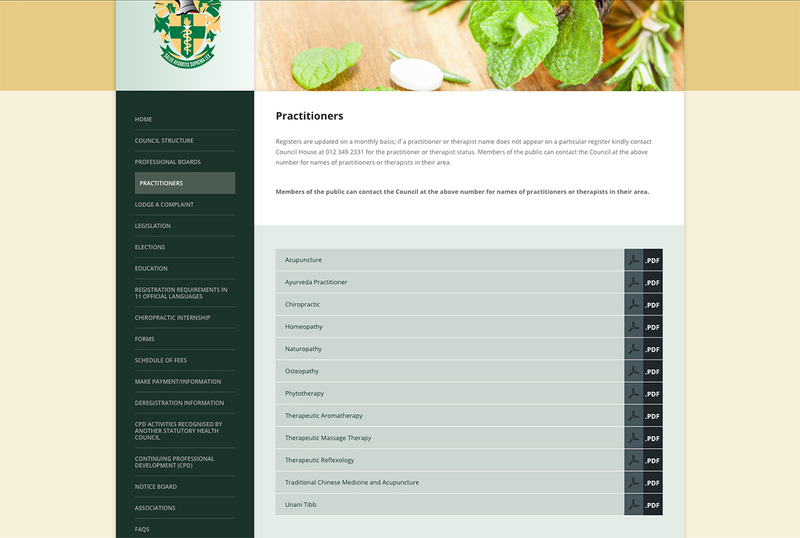 The system was created in 2017 and is the software used to manage all these practitioners and their secure information. 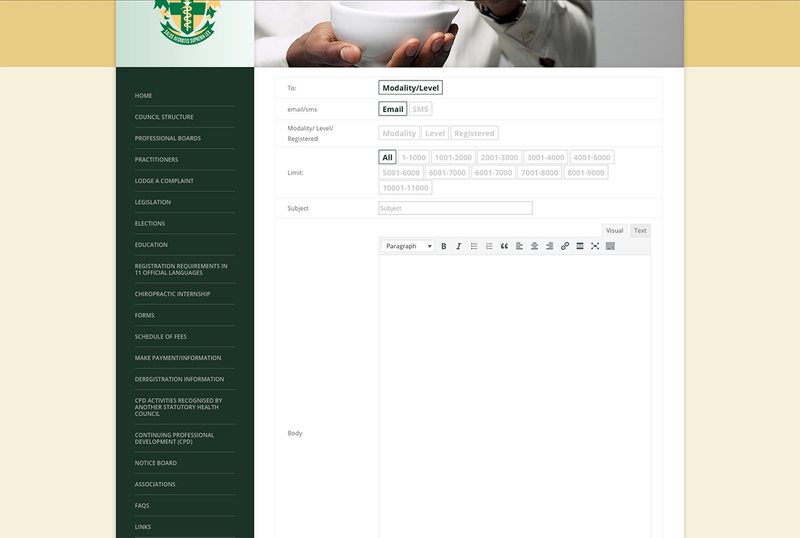 Php was the selected language providing a secure but well know language base but rendering the GUI in HTML 5. 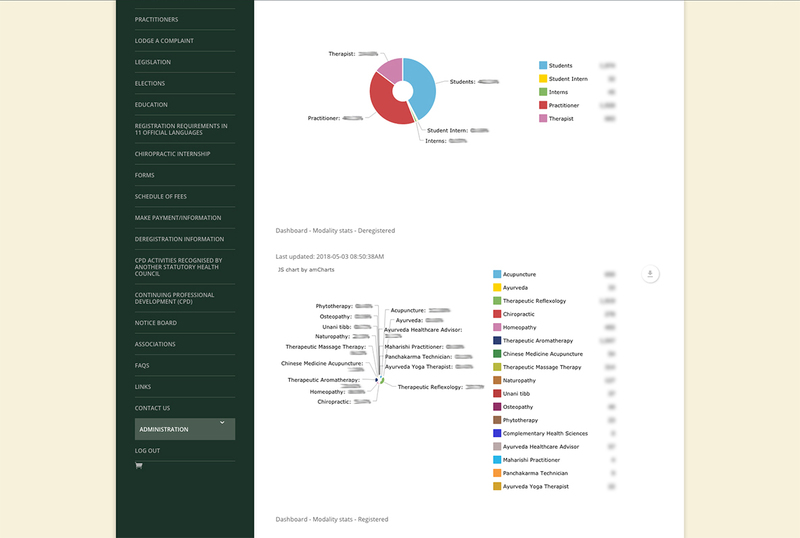 We are also responsible for hosting this system.